Two years ago, the Houston Rockets traded Aaron Brooks to the Phoenix Suns for Goran Dragic. Today, both players are right back where they started. Two years ago, the Houston Rockets traded Aaron Brooks to the Phoenix Suns for Goran Dragic. Today, both players are right back where they started. The Rockets have come to an agreement with Brooks and will officially sign him on Tuesday, as first reported by Yahoo! Sports Adrian Wojnarowski. The deal will reportedly include a team option for next season. 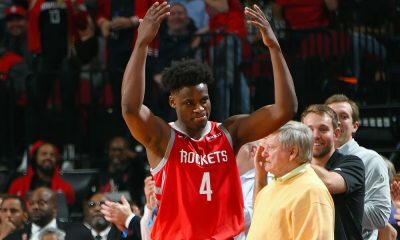 The former Rocket point guard had become a free agent after completing a buyout with the Sacramento Kings on Friday. I tweeted about this shortly after Brooks was let go by the Kings, but this move made too much sense to not happen. 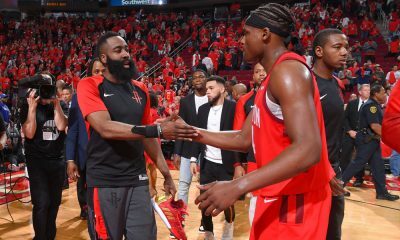 The Rockets are under the cap. They had interest in bringing Brooks back before the season. They need a backup point guard. They play a speed game and like to run in transition. They absolutely love to shoot the three. 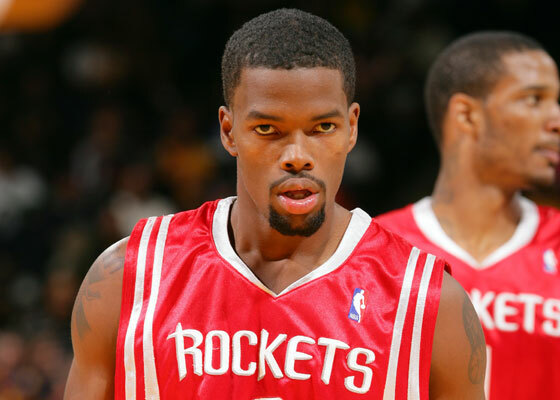 Aaron Brooks fits all of that. After his “Most Improved Player” season of 2009-10 in which he averaged 19.6 points and 5.3 assists, hitting nearly 40% from beyond the arc, Brooks’ career seemed to be in a downward spiral. The following season, a contract year for Brooks, he suffered this injury and lost his starting job to Kyle Lowry. His attitude went south (just ask Kevin Love) and he was traded to Phoenix. During the lockout he signed to play in China and couldn’t get out of his contract to return for any of the 2011-12 season. But Brooks can still play — he’s only 28 years old and is shooting 45.9% from the field and 37.8% from distance this year. Though he saw a reduction in minutes the past 10 games or so, he has produced. 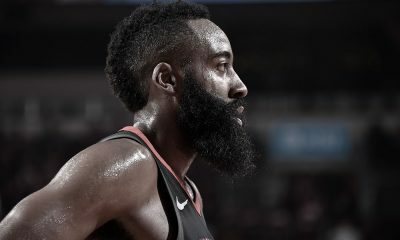 As recently as December 19th against the Warriors, he scored 23 points on 9-12 shooting and was a perfect 3-3 from deep. 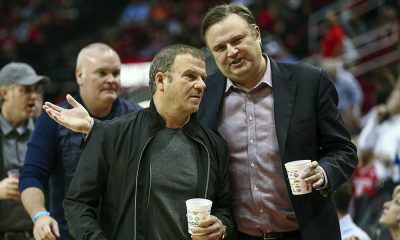 This is yet another classic “buy low” move by Daryl Morey, who doesn’t even surprise me anymore. I will say though that I was mildly impressed that he appeared to make this all happen from a Blackberry between panels at the Sloan Sports Analytics Conference. Brooks is a little over two years removed from a 20-point per game season and the Rockets are scooping him up for a song. And by the way, if the Rio Grande Valley Vipers are the Rockets’ Triple-A ballclub, that would make the Sacramento Kings their Double-A affiliate. Add Brooks to a list that includes Ron Artest, Kevin Martin and Thomas Robinson as Rocket call-ups from Sacramento. One thing that stuck out to me about the trade deadline of 2013 was that the Rockets didn’t make a move for the present. Last year they moved Jordan Hill for a first round pick, but balanced it out by making a win-now move for Marcus Camby. This year the Rockets traded away rotation pieces in Patrick Patterson and Marcus Morris, but only got back future assets (potential of Thomas Robinson and a future second round pick). Using their cap room and signing Brooks to a deal for the remainder of the season says to me that they’re filling holes and going hard for the playoffs. With Patrick Beverley playing well, where does AB fit in? Good question. Minutes at the point are not going to be easy to come by and they will be earned in practice, but this is not just a matter of making everyone happy. Jeremy Lin has had multiple ankle injuries this year, and though he has not missed significant time, Brooks provides some solid insurance. 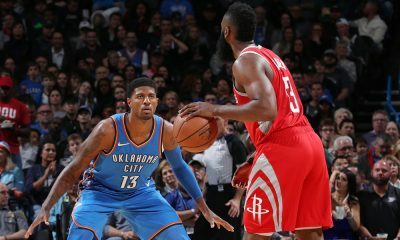 Brooks can not run a very effective fast break, but he can score and shoot — James Harden is a two-guard that plays like a one and Aaron Brooks is a one that plays like a two. That balance makes him a potential good fit. With Brooks back in Houston and Dragic in Phoenix, the net result of that trade (and the Shane Battier deal) is now simply Donatas Motiejunas in Houston.